Understand and use each module of the Network Associates Sniffer Pro Network Analyser. Monitor your network to create Baseline reports. ‘Read’ a TCP/IP packet decode…. and it makes sense!! 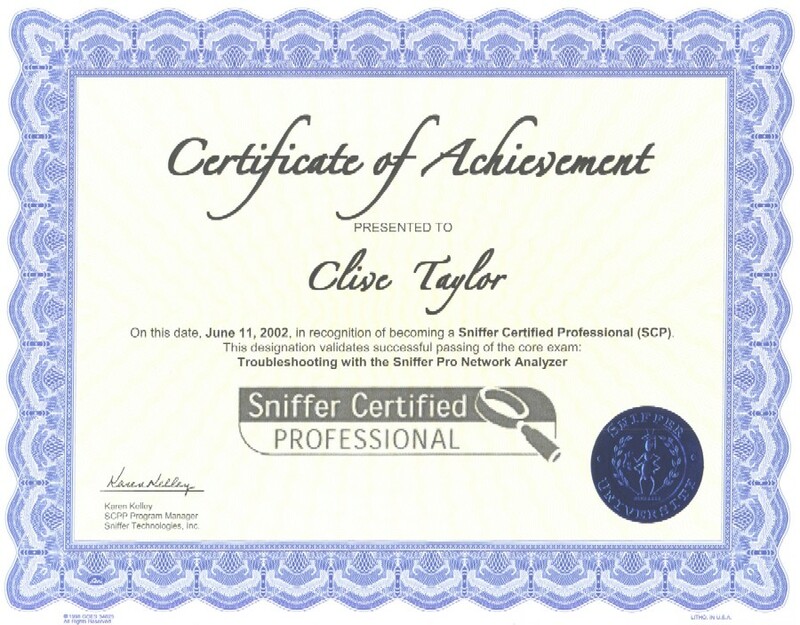 Use Sniffer effectively to troubleshooting and quickly resolve problems in your networks. The course features a number of hands on examples at each module of the course, all notes and examples are provided in a 120 page manual and on CD. This course is designed for those people who will be responsible for the the Evaluation, Assement, Installation and Implementation of the Sniffer Analyser. Please Note: The above courses are available outside the UK by special arangement.